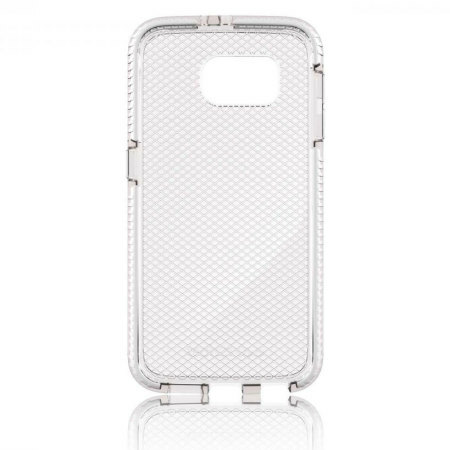 Protect your Samsung Galaxy S6 from bumps and drops with this highly protective case, with improved impactology technology. 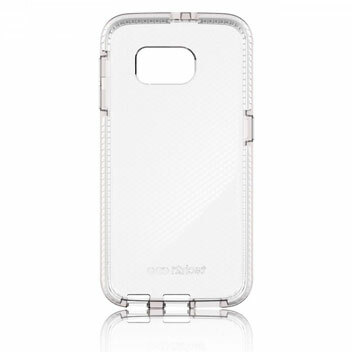 The case comes in an elegant clear and white design to compliment your phone. Had a Tech21 case on my previous Nokia (from Mobile Fun of course!). The phone went everywhere with me and received plenty of rough treatment along the way. The phone is still as good as new! Having had a change of phone now, the selection of a phone case was a no-brainer. Tech21 cases fit closely and allow access to all the charger and phones ports. They don't add significantly to the bulk of the phone and arguably, they actually make the phone a little more comfortable and secure to hold. The design also prevents the face of the phone coming into contact with the surface on which it is resting. All in all, a great case. Smart-looking Evo check, white and clear case fits my Galaxy S6 like a glove. I've had Tech21 before for my Galaxy S5 and have been very happy. I have never had a damaged phone as these cases are really good at protecting my phone. I would buy Tech21 again. The case also gives a better grip as I find that the phones without the case are more slippery to use. 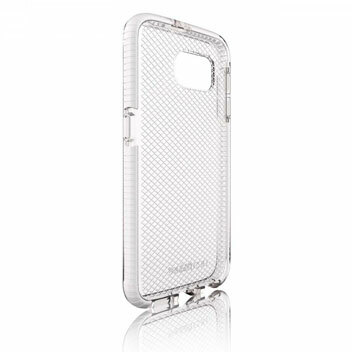 Meet the Evo Check case for Galaxy S6. This is the next stage in the evolution of Impactology™ and intelligent impact protection. So what does that all mean? Well, using scientifically proven, hybrid impact protection material known as FlexShock™, impact force is absorbed, dissipated and repelled away from your device. So in the event of a drop, your Galaxy S6 is far more likely to avoid sustaining damage. The peace of mind this offers is priceless. 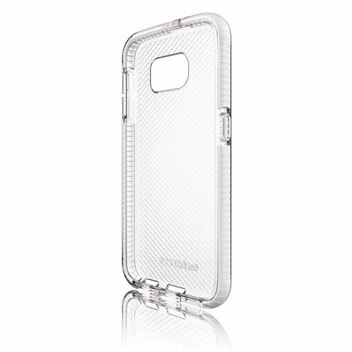 The Evo Check case from Tech21 offers maximum protection to the sides and rear of your phone. The case is designed to absorb shock and vibration from drops and everyday usage. The back cover provides protection to the back and the sides of your phone, while the raised lip at the front protects your screen when placed face down. The vulnerable corners are especially protected with reinforced protection. These aren't just superlatives for the sake of it, these are critical factors for everyday usage. A protective case is often bulky and cumbersome - meaning that the trade off for security against damage is a bulky case that makes it more difficult to carry. Not so here. The Evo Check has been designed to be as slimline and ergonomic as possible without any compromise on protection. On the inner side of the case is an attractive check pattern to add a touch of style without detracting from the beautiful ergonomic aesthetics of the Samsung Galaxy S6. 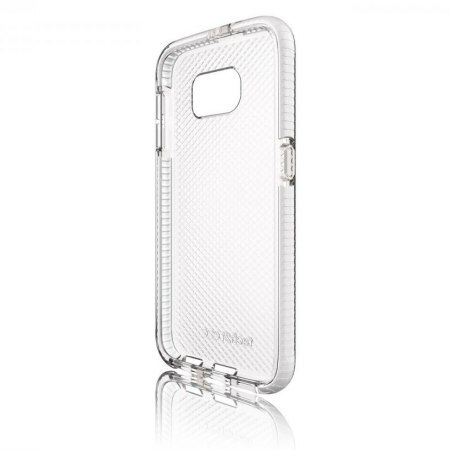 This slimline Tech21 Evo Check case has been designed specifically for the Galaxy S6, giving you full access to all cut-outs for the phone's various ports and features, such as the rear camera and volume buttons. Just because the case is highly protective, it does not mean that the case will be thick, this is far from the truth as the case features a slim design, making it highly portable.